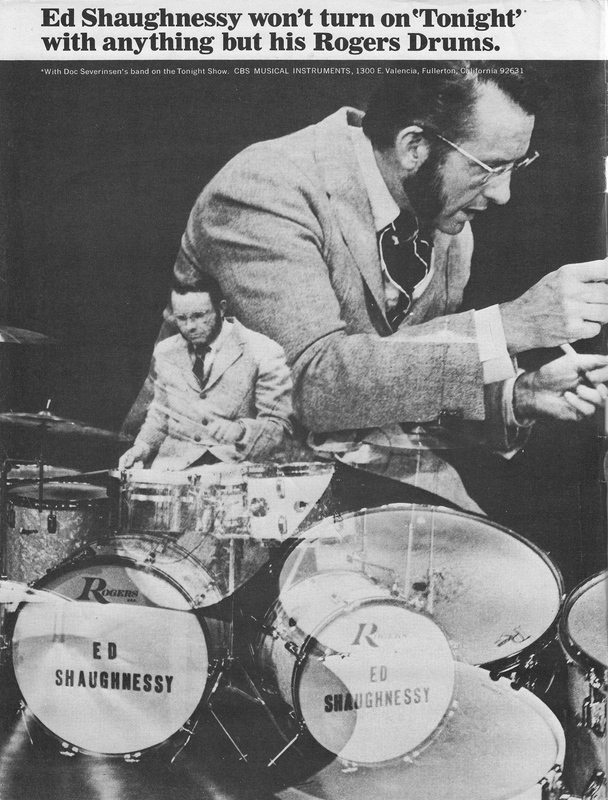 SKF NOTE: Ed Shaughnessy was a role model for drummers aspiring to be all-around professional drummers. I always studied Ed with The Tonight Show band, and I even found two old jazz albums with Ed on drums when such albums were hard to come by. This Rogers Drums ad is from the inside front cover of the March 5, 1970 Down Beat magazine. This entry was posted in Drum/Music News, SKF Blog and tagged Down Beat, Ed Shaughnessy, Rogers, Scott K Fish, SKF Blog, Tonight Show. Bookmark the permalink.